Preparing your child’s hair days before washing it makes the process easier for you and your little one. 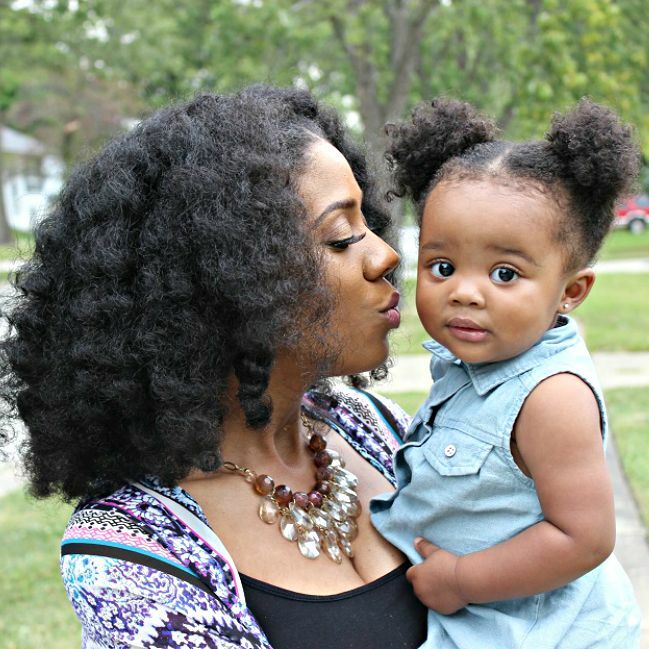 The best way to learn how to prep your child’s hair is by trial and error. Like any task that includes a toddler, you just have to have patience. Try to make sure your child is distracted during prep time as well as the wash session. Distractions just make everything so much easier. You can use a tablet or even sing-along. Consider these tips for your next wash day. Pre-pooing has so many benefits for your child’s hair. Simply apply a little oil (like grapeseed oil) to your child’s hair the day before wash day to help release tangles. Grapeseed oil is amazing, because it helps lock in moisture and contains vitamin E, restoring shine to the hair. Sometimes their hair can become dry during the colder months, so it really helps keep it moisturized. You can also mix water with a leave-in conditioner and apply it to her hair to help with detangling. You never want to detangle your child’s hair while it is completely dry. Although hair is strongest when dry, it is easier to manipulate when damp, reducing the risk or amount of breakage. This also reduces tension on the scalp which means less tears. To prepare for wash day, you should make sure that your child’s hair is somewhat detangled before you get started on wash day. Detangling prior to wash day makes helps to reduce the chances of matting when her curls are activated with water. Pre-pooing goes hand in hand with the following step. Once you finish detangling your little one’s hair, part it into four sections and braid it loosely to prepare for wash day. This helps to thoroughly rinse out product, buildup, and shed hair. Sectioning also helps to reduce breakage and expedite the washing process. Have fun preparing for wash day. It doesn’t have to be a daunting task. Make it a fun game! Sing a song or hide all of the tools and let your little curlie find them. Use it as an opportunity to give her your undivided attention. Keep her engaged and not be afraid of wash day. Explain the process as you go from step to step. If we teach our kids that wash day is fun and exciting, you can ease their fears over time. Now let’s have some fun and get to wash day with ease! How to you prep your child for wash day? Read next what did and didn’t work for my toddler on wash day.